The Washington Dept. 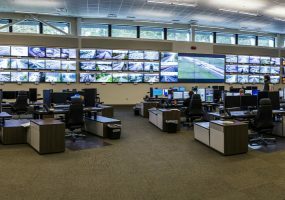 of Transportation’s Shoreline Traffic Management Center (TMC) is one of six regional operation centers of the Intelligent Transportation Systems (ITS) used to make Washington’s roads more safe and efficient. When the TMC outgrew its building – as well as the size of its roadway monitoring system – the staff realized it was time not just for a physical upgrade, but a technological one, too. NEC Display has built a mission-critical command and control room strategy around its video products’ integration with Hiperwall video wall software. Tom LeBlanc explains how integrators should be helping customers pull in more data and integrate systems in control room applications. TruVision Navigator 7, the latest update of Interlogix’s popular video management software, was released at ISC West in Las Vegas. Are Virtual Security Operations Centers in Your Future? The Bouches-du- Rhône Fire and Rescue Department can now respond to crises quickly and efficiently thanks to its emergency response center’s new video wall processing technology from Agelec and Matrox. Transpower New Zealand installs Matrox Extio fiber-optic KVM extenders to deliver 24/7 control room video from PC to operator. 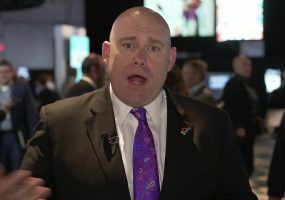 Shane Vega, Market Manager for Corporate East in the Control Room Group for AVI-SPL, speaks about the return on investment that social media command centers can have.